There are various reasons for having a website of your own, but one of the most common reasons for someone to build their own website is to let people know that you have something to offer to them. It could be anything from a traveling experience shared on your blog to an e-commerce site where you sell your products and services. The reason could be anything, but the result has to be the same, your website should get noticed. This can be done through the development process and making a choice that is suitable to give your website good support and a chance to rank high. 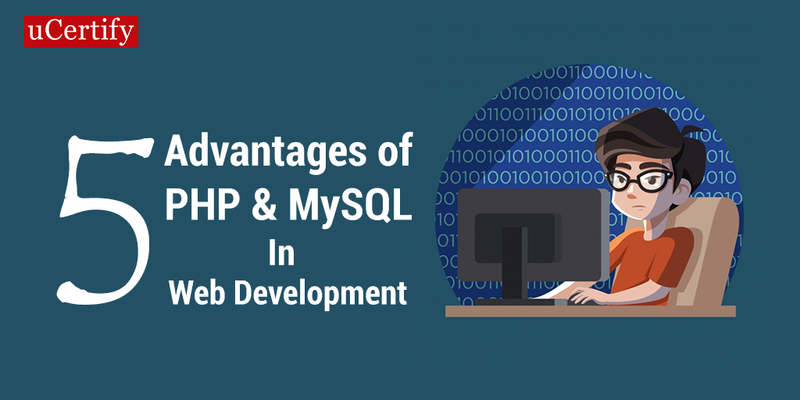 PHP-MySQL development is one such option, and a good one. PHP is, at first, just text that is taken by your web browser and transformed into a set of instructions and data for your internet browser. PHP’s effortlessness and inherent links to the MySQL database program had earned it twice the number of clients. MySQL is a quick and simple-to-use relational database management system which is being utilized by many organizations. MySQL handles an extensive subset of the most expensive applications and robust database packages. It functions efficiently and rapidly, even with large sets of data. MySQL is a quick and robust yet simple-to-use database framework that offers pretty much everything that a website may require to discover and provide information to browsers. • They function well with every significant browser and database. • PHP-MySQL development works well with other different languages. • PHP-MySQL development makes altering website pages simple and fun. • Products perform smoothly on platforms such as Apache and IIS if made with PHP and MySQL. • PHP and MySQL function effectively on all operating systems that use Automatic Test Equipment (ATE). The symbiotic nature of PHP and MySQL helped propel them both forward, but what attracted developers to them in the first place? Learn the skills of web development through PHP and MySQL with uCertify’s PHP and MySQL Web Development course and performance-based labs. I selected BMA5003 Financial Accounting and BMA5008 Financial Management in the first semester Academic Year: 2018/2019 (August to December 2018), both are core modules. Just received my new CISSP certificate, it was renewed and It will expire on 21 October 2021. During my stay in India from 30th Nov.
During India trip, I had to eat local food, the problem was that I cannot adapt to India local food. Summary I was travelling in Pune and Mumbai India from 30th Nov.
Summary Configure the Shared mode for Oracle connection, it failed and returned ORA-12523, found out it is mandatory to configure local listener. Summary I can open the Netmgr in the Xshell through Xmanager without any issue. I was on business trip to India Mumbai and Pune from 30th Nov.